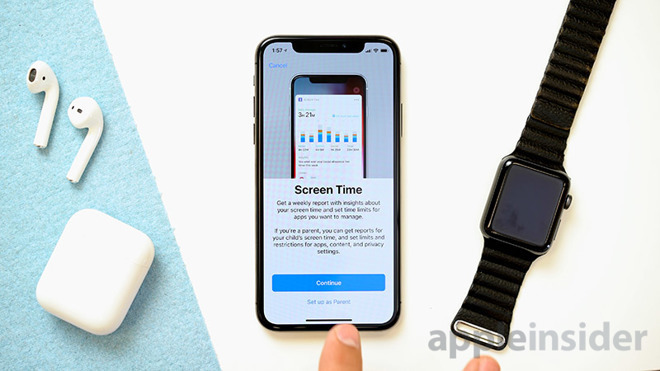 The launch of iOS 12 and Screen Time in September has resulted in Apple taking a harsh stance with some competing "digital health" apps, which have reportedly been subject to extra review, blocking, or removal — even in the case of titles that have been around for years. One example is Space, which was taken down in November despite being three years old, according to TechCrunch. Another is Mute, which was kicked off of the App Store in October, around the same time that many developers of similar apps were said to have been targeted or warned. At least some developers were told they were in violation of an App Store guideline against "misusing background location mode for purposes other than location-related features." Others, though, were told they were using public APIs in an unapproved way or simply that their implementations of screen time tracking or parental controls were no longer allowed. Space and Mute are now back on the App Store, but only after their developers published blog posts complaining about the removal. Those posts prompted phone calls from Apple representatives. The developers were reportedly asked how they handle data privacy, and told by Apple that they must have customer-facing features that require background location data. The developer of a third app, Moment, said it was also called by Apple, but wasn't subject to removal or even a warning — suggesting the company is handling things on a case-by-case basis. Parental control app Circle by Disney has likewise been left untouched. Apple may be focusing on screen time/parental control apps that rely on VPNs or mobile device management (MDM), TechCrunch indicated. The native iOS 12 Screen Time app has access to data third-party developers can't get, though, which has forced workarounds. Apple is notorious for directing pressure against apps it sees as competing with native iOS features. It has for example blocked mirroring apps from displaying storefronts, apparently as weapon against Valve's Steam Link, which would have let people play Mac and Windows games on Apple devices.